A day at the corniche in Doha on Tuesday 15th December, for one of the National Day flying display rehearsals. Several days of practice are held, leading up to National Day on the 18th. 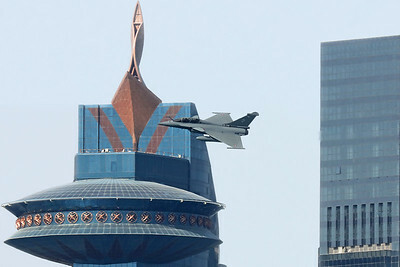 As well as being a rare chance to catch most of Qatar's military aircraft types, this year also featured French AF Rafale (of which Qatar have 24 on order), with one today and two on other days.